Announcements and discussion on Seeq and industry news. Includes member coordination for upcoming events. Forum for sharing Seeq, community, and corporate news of interest to community members. Members can coordinate connecting at future conferences and workshops. Community software news will be shared here as well. 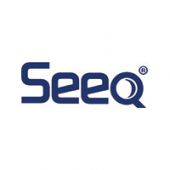 Entries summarizing new videos, training materials, and use cases are added to the seeq.com website. Start a discussion, add comments, or ask questions regarding any particular entry.